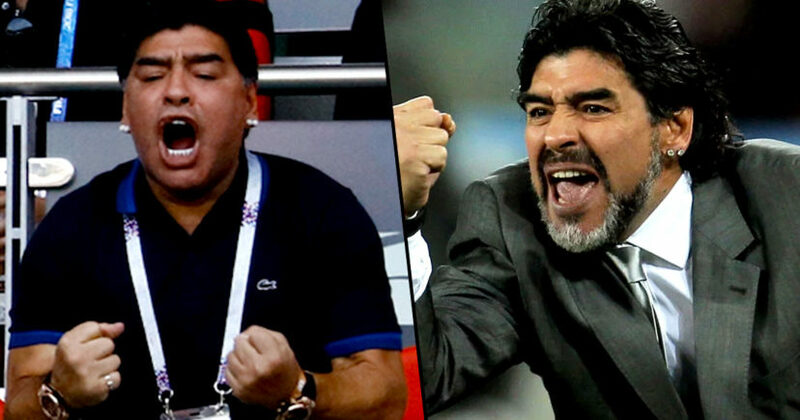 It seems footballing legend, Diego Maradona, has moved swiftly on from the bitter disappointment of Argentina’s early exit from the World Cup, and has instead, decided to focus on his future. And what’s the best way to get over footballing heartbreak? By getting married, of course! The 57-year-old Argentinian is now officially off the market, as he presented his girlfriend, Rocio Oliva, with an engagement ring on her 28th birthday, four years after the couple first got together. Her birthday party was attended by 47 guests, according to The Sun, with the ex-footballer presenting Rocio with a diamond ring and popping the question in front of everyone there. Naturally, after the birthday girl said yes, the happy couple celebrated with bottles of Dom Perignon. The party also reportedly featured a performance from Argentinian singer, El Polaco. I am happy because this is my last birthday as a single woman and I can share it with all of you. My wishes for today, and forever, are to be happy with Diego, for my mother and grandmother Chiche to live forever, and everyone I love to stay healthy. Maradona met Oliva in 2012. He divorced his first wife, Claudia Villafane, in 2003 after 17 years together. 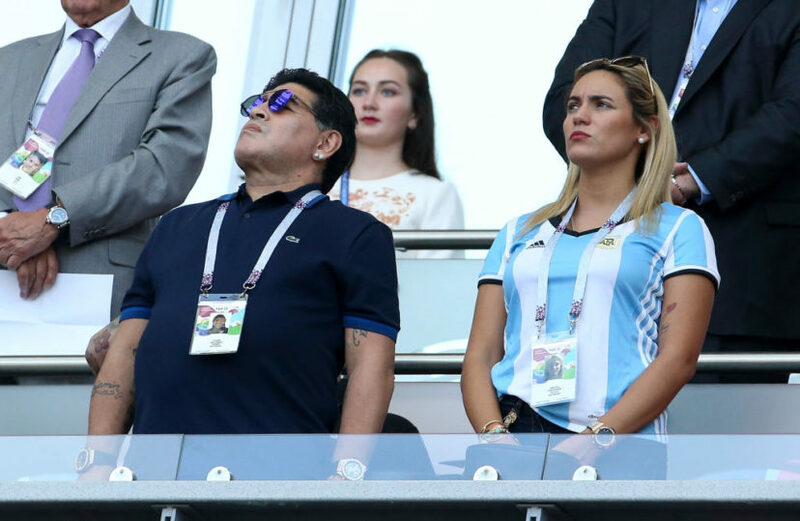 Oliva is an ex-professional footballer who played for a number of clubs in Argentina – I wonder if Maradona has ever gone on a rant about her teams the way he did about England during the World Cup?